If someone counters flickerforms activated ability, can I activate the ability again to flicker dodge the counter? : Remove enchanted creature and all Auras attached to it from the game. At end of turn, return that card to play under its owner's control. If you do, return those Auras to play under their owners' control attached to that creature. The aura will become unattached and go to the graveyard. When an object changes zones, the game treats it as a totally new object with no relation to what it was before (except for a few exceptions needed to make things work properly; they don't apply in this situation). 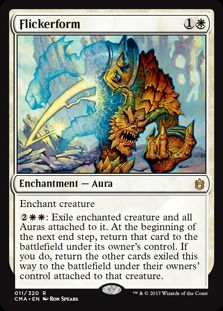 In this situation, as far as the game is concerned, the creature that the aura used to be attached to is gone. An aura will only be flickered along with the object it's attached to if the flickering effect specifically says to do that ( Flickerform , Tawnos's Coffin , Oubliette ). Otherwise it stays on the battlefield. 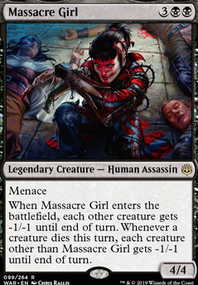 Consider Ravenous Chupacabra Orzhov Locket Junk Diver Dead Man's Chest Big Game Hunter Settle the Wreckage Angel of Condemnation Fiend Hunter weird way to actually permanently exile creatures with this since it's two paragraphs and has 2 triggers on the stack. Flickerform Puppeteer Clique not sure but may be able to permanently steal with this if you exile it with a different card so it's not in when the exile trigger goes off. Didnt look up the interaction/rules. Triad of Fates slow but works perfect for what you want. Maybe Body Snatcher this one is kinda a stretch-ish. Mortarpod_Blues on UW Petitioner Self Mill...Reanimator Combo? In no particular order, I've got some suggestions you might have a look at. 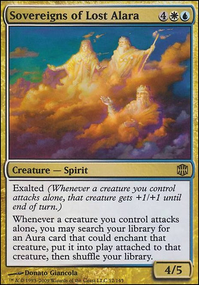 Some cards are just to round out the deck and give you a little more defensive capability, and others are to fully lean-into the self-mill theme you've got going. In particular, you might want to put in more blink effects so you can tap your Petitioners more than once per turn/round. Still a super freaking cool concept! It turns what the card was MEANT to do on its head, and makes it that much more potent (it's easier to mill just one person-- yourself-- than it is to try and handle all your opponents at once instead). For going on the budget wise, Enchantress Voltron is the way to go. Rafiq can get super nasty extremely fast and can threaten a kill by T3. Luckily enough as well a lot of enchantress cards have been reprinted and are dirt cheap. Going for this route as well gives you access to a lot of utility protection as well as card advantage (CA). 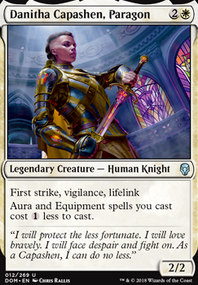 Exalted smack down is better in the value build but as you said your meta is comparably fast, making an voltron Rafiq is much harder to remove. Starting off the deck, essentially cut away all cards that don't provide any advantage and run cheap enchantments such as Utopia Sprawl , Wild Growth , Fertile Ground and Burgeoning for the ramp. All enchantresses should be in here such as Mesa Enchantress , Kor Spiritdancer , Sram, Senior Edificer , Tuvasa the Sunlit , etc. Now for the bulk of the cards, for enchantments. Off the bat one of them is Vanishing , Pemmin's Aura or Shielding Plax , these cards are our protection against targeted removal. Flickerform is also protection and can trigger CA from Eidolon of Blossoms . 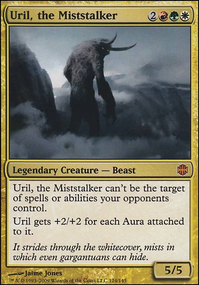 For huge damage, Ethereal Armor , Ancestral Mask , Sage's Reverie , Blessing of the Nephilim can all do wonders in making Rafiq either one shot or at least a two turn clock. 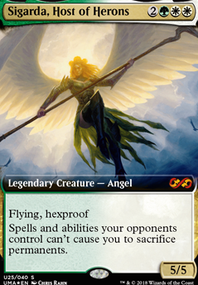 One of the few exalted creatures I would keep though is Sublime Archangel as well Qasali Pridemage . Their utility and damage they can accumulate is enormous enough to be considered a slot and a threat by itself. 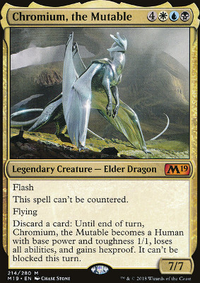 For further ideas, I also have an enchantress deck you can look at, Tuvasa of the Eternal Aeon | Primer. Most of the card value is from the lands but, take away those and some of the expensive other cards and you can get by to at least $150 without including the cards you already own. There is no way to do anything that would keep Psychosis Crawler 's toughness above zero after Manabond resolves without pumping him via counters, auras, equipment, or effects like Giant Growth . Additionally, IDK why the Exodus printing is the default view of Manabond . Since the "discard phase" is no longer a game concept the card has received erata that is shown on the Tempest Remastered version. The erata makes another line of play viable. You can use flicker effects that return the card EOT such as Roon of the Hidden Realm or Flickerform to keep your Psychosis Crawler safe by putting the return trigger on the stack first and then putting the Manabond trigger on top of it. The downside to this is that it wouldn't ping off of the Tatyova draws.